This Stunning 2 Bedroom, 1 Bath 2015 Home is located in Dunedin RV Resort. This beautiful Home is on a lot in the back of the park next to a Privacy Fence and a Lovely Green Space. It has all New Landscaping, Beautiful Laminate Flooring, an Electric Fireplace, New Ceiling Fans, Double-Pane Windows, a Shingle Roof, and the AC was Serviced in 2018. The home has a Lovely and Spacious Covered Front Deck that is the perfect place to enjoy Florida’s Evening Breezes or to have your Morning Coffee. It leads to the FLORIDA ROOM that has an Etched Glass Door, Custom Solid Wood Plank Walls, Beautiful Wood Laminate Flooring, and Lots of Wonderful Natural Light. Step through the slider to enter the Living and Dining Area that has Cathedral Ceilings, Large Windows, and High-Quality Vinyl Flooring. The Kitchen has Plenty of Beautiful Solid Wood Cabinets for Storage including a Wall of Glass Front Cupboards. The Appliances were New in 2015. Cooking and entertaining in this Charming Florida Home will be easy and fun! The Master Bedroom is a Peaceful Space with Double Closets, and Tons of Built-in Storage. The Guest Bedroom will be a welcoming spot for visiting Family and Friends. It has Beautiful Custom Wood Plank Walls, Wood Laminate Flooring, and a Large Closet for Extra Storage Space. The Bathroom has a Walk-in Shower with glass doors, Lots of Solid Wood Cabinets for Storage, a Large Vanity, and the stackable WASHER AND DRYER. This home has been FULLY INSULATED for energy efficiency, and there is a New Rubbermaid Shed out back for Additional Outdoor Storage. 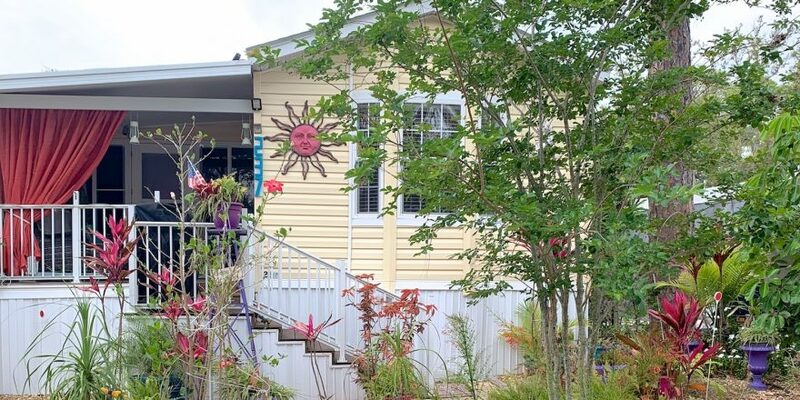 Dunedin RV Resort is located minutes from Honeymoon Island, fine restaurants, stores, shopping centers and many outdoor and indoor activities in “Delightful Dunedin.” This is an ALL AGES PARK and accepts Pets of any size, but no aggressive animals. It has a very LARGE Heated Swimming Pool, laundry, Clubhouse, gum, shuffleboard and is a very active community. The Lot Rent is $685 and includes water, sewer, trash, lawn and all the Park Amenities. 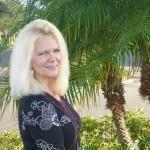 To make an appointment, CONTACT – MICHELLE – 727-490-8696.